I started fuzzing with the version message, which is the first message a peer sends to another peer to announce itself. 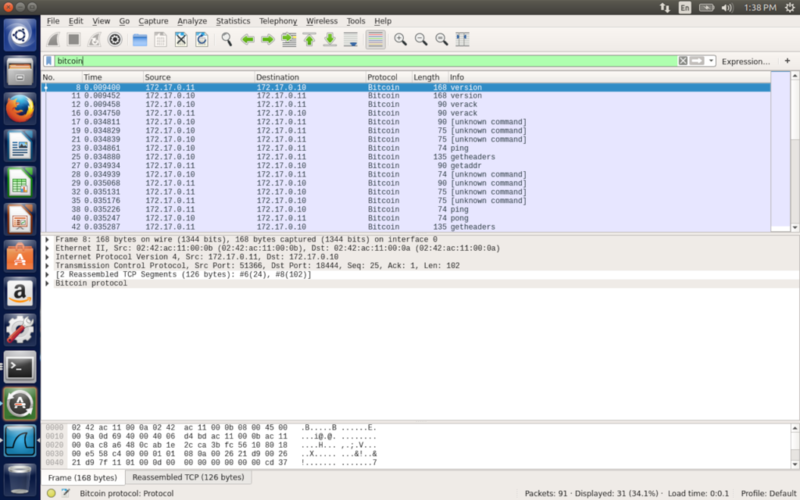 As you can see in the Wireshark capture in the previous article, a version message sent by one peer gets a version message in response, as well as a verack. The Bitcoin network protocol is well-documented here: https://bitcoin.org/en/developer-reference#p2p-network. The definition of checksum includes a default value, which is the checksum value for an empty payload. By itself, this doesn’t do much. It doesn’t calculate the payload size or the checksum, and it doesn’t even have a command defined. Defining the version message payload is similarly straightforward. Once the definitions are outlined in the BNF, pulling them into the Defensics SDK is easy. Let’s say all the BNF is defined in a file resources/bitcoin.bnf. In a Python test suite, we can pull in these definitions very simply. Once we’ve pulled in these definitions, we can modify them or fix things that need fixing. For example, the version message is assigned below as a string with zero padding to make the field exactly 12 bytes long. All this modeling so far does not result in impressive test cases. In particular, the payload size field and the payload checksum field will not be correct. Because these are probably the very first fields examined by bitcoind, test cases are likely to be immediately discarded. To make our test cases look believable, and to accomplish the best testing possible, we need the size and checksum fields to be correct. In the Defensics SDK, rules are used for cases like this where certain fields need to behave in certain ways. The length field is the easiest and can be accomplished using a built-in rule from the Defensics SDK. This creates a length rule that calculates the length of bitcoin-payload and places it in payload-size, formatting it as a 32-bit integer, least significant bit first. The checksum is more challenging because it cannot be addressed using a built-in rule. The checksum is the least significant four bytes of the SHA256 digest of the SHA256 digest of the payload. That’s not a typo. First you calculate the SHA256 digest value of the payload. Then you calculate the SHA256 of that digest value. Then you take the least significant four bytes of the result and use that for the checksum. This is one of the places where we’re really cashing in on the value of generational fuzzing. Even when other parts of the test cases are anomalized beyond recognition, the rules we’ve defined in the data model ensure that the payload size and checksum fields are correctly set. Test cases delivered to the bitcoind target will be scrutinized, then pass through to further parsing code after the size and checksum are verified to be correct. I haven’t shown you all the source code, just the most important parts. Once you have everything together, you can load the test suite in Defensics and use it very much like you can use any other Defensics test suite. Assuming Defensics is on the same network as the test bed virtual machine, you just need to tell Defensics the IP address and port number of the target. If you use port 18444, it is mapped to the alice container. By default, Defensics will use implicit TCP instrumentation, which means Defensics assumes the target is still healthy as long as it can keep opening up the TCP port. If we did manage to kill bitcoind, Defensics would no longer be able to open the port and would flag an error. If you want some more information as you are testing, use the following command to observe output to bitcoind’s debug log. As with any fuzz testing, you’ll typically see a mix of messages. Sometimes bitcoind will report the received test case, and sometimes it will complain about one thing or another. Monitoring the log is a good way to confirm that test cases are being received and processed by the target. I hope you’ve enjoyed this romp through fuzzing Bitcoin using the Defensics SDK. You can see how the Defensics SDK can bring the power of generational fuzzing to any type of software. Model and test other messages in the Bitcoin protocol. Improve failure monitoring. For example, you could run the bitcoind target with valgrind or ASAN to catch memory errors. Want to know more about fuzzing Bitcoin? 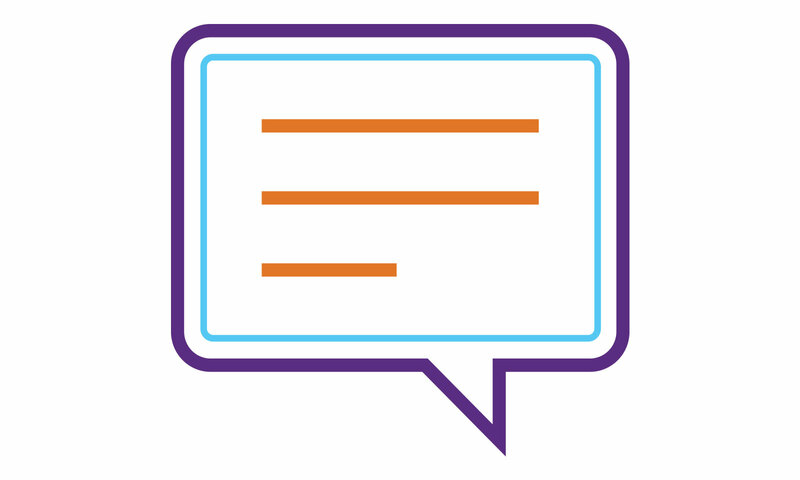 Come ask us in the Software Integrity Community.